Winter weather might bring gorgeous snowscapes and plenty of opportunities to sip hot cocoa, but it also dries out your skin and makes your hair go frizzy and flat. “Harsh conditions like cold and wind strip the cuticle (the outermost layer of the hair strand), making it rough and susceptible to dryness and static,” dermatologist Harold Brody told Shape. If you’re not sure how to stay warm and look super put together this winter, then you need our top five tips for beating back hat head. When it comes to winter outerwear, materials matter. Even though it’s warm and toasty, wool will worsen the effects of hat hair, says Self writer Kristin Booker. 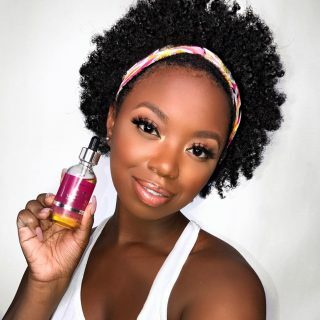 “Wool, cotton, and other coarse fabrics can cause split ends and breakage, a tip even more important if you have curls or natural-textured hair,” Booker writes. Light, breathable materials, like silk, can help protect your tresses all winter long by forming a barrier between your hair and any outdoor wear you might need. “If you’re going to go with a beanie or hat, pick one that’s loose-fitting, lightweight and made of soft, silky fabrics like satin, silk or cashmere – that way it won’t flatten your hair,” suggests Abigail Thorpe at Real Simple. “If you want to opt for a thicker, warmer hat, make sure it’s lined with a soft fabric, or even suede,” she adds. Still worried about breakage? Strengthen your hair all winter long by eating a hair-healthy diet chock-full of omega-3 fatty acids and plenty of protein. Oily fish – like salmon and trout – along with the omega-3 fatty acids found in avocados and walnuts can help make your hair stronger and shinier as the snow begins to fly. All we want once winter weather comes on is to be warm as quickly as possible – especially when we slip out of the shower. But if rushing your blow out can cause major problems, then how do you dry your hair in the winter without freezing your buns off? According to stylist Mark Townsend, it’s all about carefully timed air-drying – and that starts as soon as you grab a towel. If you’re worried about using a rough material like cotton to towel off, Townsend suggests using a microfiber towel. Once you’ve removed most of the moisture from your hair, it’s important to leave time for your hair to air dry and soak the rest of that hydration up – even in winter. High heat – whether from hairdryers or styling tools – can absolutely wreck the texture of your hair. 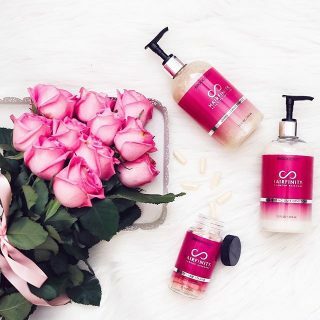 “Blow drying causes a “flash drying” effect that not only removes the surface moisture but also removes water that is bound to the hair, which is called water of hydration,” explains Shannon Romanowski at Self. If a wet head during the wintertime sounds like torture, most stylists recommend washing your hair at night, so your hair has time to dry before you head to work in the morning. Loose braids, buns, or low ponytails can help you get through the night without catching cold. Winter weather is especially hard on your hair, making it more prone to split ends, dryness, and breakage. If you’re tempted to hide under the blankets all winter long, you’ll miss out on opportunities to keep your hair healthy. That includes regular trims every six to eight weeks, so you can say sayonara to split ends. Monthly check-ins at the salon outside of your budget? Then go DIY to prevent breakage, suggests health and beauty writer Molly Carroll. 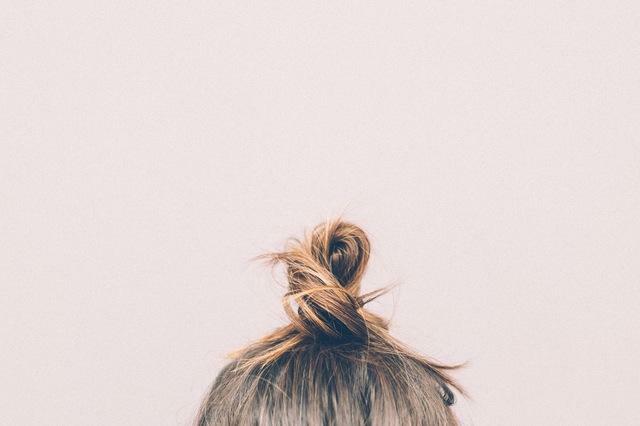 “If you notice a split end in between trips to the hair salon, don’t wait until your next visit and just trim the strand yourself,” Carroll writes at StyleCaster. It’s especially important to stay on top of split ends in the wintertime. Unattended, split ends can cause already brittle hair to split further, damaging the follicle. Regular trims, along with paying close attention to the amount of heat you use when styling, will help keep your hair stronger and healthier – no matter how often you put on your hat to head outside. There’s nothing like a knit cap to take all the va-va-voom out of the volume you carefully styled into your hair that morning. You can avoid this pitfall in the first place by playing a trick with your part, stylist Dawn del Russo told Real Simple. Switch your part to the opposite of your head. “When you take your hat off and shake out your hair, you’ll still have all of the body and structure you left with,” says del Russo. If the damage is already done, the editors of Woman’s Day suggest running your fingers through your hair to bring it back to life. Unlike a brush or comb, your fingers won’t create extra static. You can also switch up your styling strategy for the winter, focusing on building volume to lessen the dreaded effects of hat head. “Volumizing sprays will add body to the hair, keeping it full for hat days,” hairstylist Ted Gibson told Huffington Post. A very quick shot of heat to your roots before you head out the door can also give you a lift – just be careful not to overdo it. 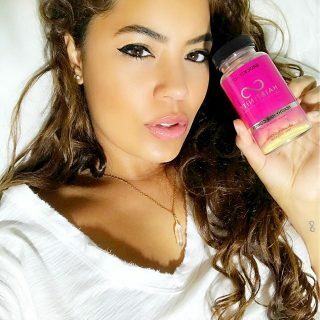 If you’re combatting fine, limp, or thinning hair year-round, keep an eye out for supplements that use amino acids to help “enhance the production of keratin,” or protein, in your hair, writes Cassie Steer at Marie Claire. With all that volume in place, taking off your winter cap once you get in doors is less apt to send you running for a mirror. 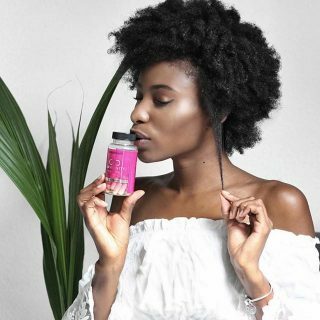 Hairfinity’s solution: Try our Harifinity Volume Builder Amino Acid Booster, a nutritional supplement that provides the hair with an intense boost of amino acids, the hair’s natural building blocks, plus support for normal hair growth from the root. The result is healthier, protein-infused hair – and a whole lot of volume to keep the winter blues at bay. 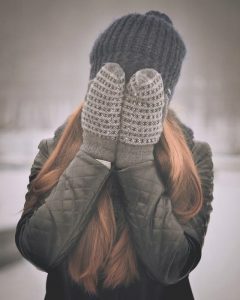 That distinctive snap-crackle-pop of static electricity from peeling off a winter hat is enough to make anyone cringe. Static electricity and flyaways are a direct result of colder, drier winter air, explains Shannon Romanowski at Self. Add friction from peeling off all those layers, and you’ve got yourself a real bad hair day. 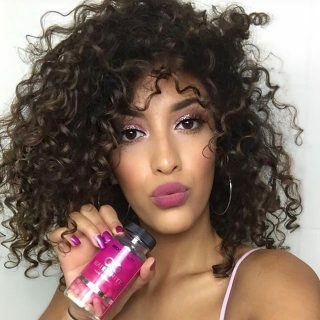 In order to avoid looking like you stuck your finger in a socket, breathe moisture back into your hair by using a leave-in conditioner or hair mask. “The more porous and damaged your hair is the drier it will be and the more likely that static charge will build up,” writes Romanowski. We could all use a little TLC in the long, cold winter months. A luxurious hair mask is a great place to start! Protect your hair from frizz, fly-aways, and flatness this winter by ditching high heat styling, adding plenty of moisture back into your delicate tresses, and avoiding breakage at all costs. 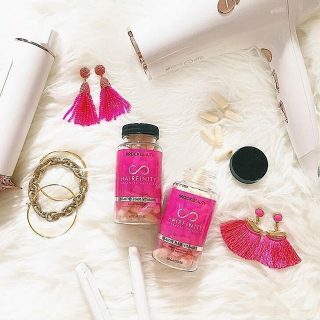 Use a hydrating conditioner like Hairfinity Balanced Moisture Conditioner and follow up with a luxurious leave-in conditioner. Hats might be necessary to brave the cold, but – with a little prep – they don’t have to ruin your good hair day, too.